I most emphatically do not like anything Margaret Atwood has written from The Handmaid’s Tale on. Oryx and Crake and subsequent books have become far too sci-fi for my taste, with a strong flavor of feminism and futuristic doom to boot. So, when Naomi of Consumed by Ink announced that she and Marci are hosting a Margaret Atwood Reading Month, I jumped right in. They have many events scheduled, in which you can participate or not as you choose. The point is, I believe, to celebrate the great power of Atwood’s voice. Sunday Salon: Want To Join Us in an Atwood Read? 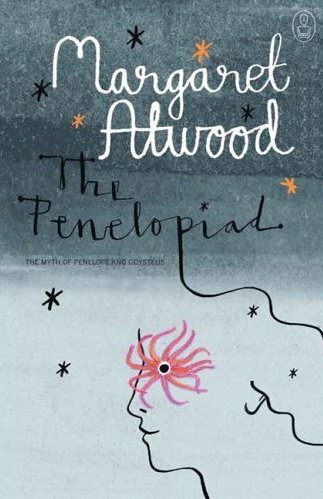 My friend Col and I are planning on reading Margaret Atwood’s The Penelopiad together, and we want to invite you to join us. We’ll be reading it the week of May 23 through May 28, 2011, with a review to be posted on Monday, May 30. Of course, if anything strikes our fancy before the 30th, we may post on that as well. If you’re reading for the Read-a-Myth Challenge, or the Once Upon a Time 5 Challenge, this would be a perfect fit. 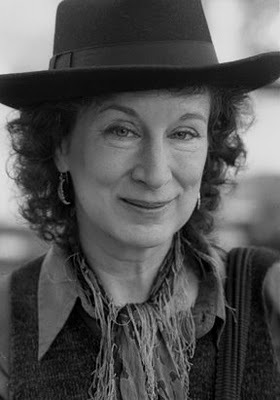 To me, nobody writes of the pain that can be found in childhood like Margaret Atwood. Just as I felt when I read her novel Cat’s Eye, I find myself seared by the words I’m reading in Surfacing. I’m only halfway through this novel, but I have to post these thoughts now. At first I ran away, but after that my mother said I had to go, I had to learn to be polite; “civilized” she called it. So I watched from behind the door. When I finally joined in a game of Musical Chairs, I was welcomed with triumph like a religious convert or a political defector. “If you don’t do it right we won’t play with you,” they said. Being socially retarded is like being mentally retarded, it arouses in others disgust and pity and the desire to torment and reform. It was harder for my brother; our mother had taught him that fighting was wrong so he came home every day beaten to a pulp. Finally she had to back down: he could fight, but only if they hit first. I wasn’t teased or left out because I was ugly. Or, stupid. Or, anything wrong. I was teased because I wasn’t mean. I didn’t fight, and neither did my brother. We didn’t know how to handle teasing because the words spoken in our home weren’t unkind. We were vulnerable in the face of neighborhood bullying, schoolyard taunting, the cruelty of children everywhere. This is part of why Margaret Atwood’s writing is so very poignant to me today.